Projects completed or still under way. The new site is written to help non-techies understand how to use the curvature files with step-by-step instructions and a lot less jargon than in my original post about the program. I also took this as an opportunity to learn how to do vector graphics in Inkscape and design myself a new logo — with significant design help from Alison. Update October, 2013: Google Earth KML files generated by curvature.py are now available covering the entire world. In the process of taking up motorcycling this summer I also gained an additional hobby: scouring maps and travel guides to find the roads that would be most fun to ride. While I’ve had great times on dirt roads through farmland and wide open highways, there just isn’t anything that compares to the thrill of leaning through the corners on a winding road. While I’ve had some good successes in locating roads by map (such as Tracy Road), one of the shortcomings of a map is the tight curves you can really lean into tend to be below the resolution for many maps. Atlases and electronic maps like Google Earth allow you to zoom in, but then there is the problem of finding the gems in the sea of data. What I realized I needed was a way to highlight just the most curvy roads so that I would know where to explore next. The RiverLevels widget provides an easy way to monitor the amount of water flowing in your favorite streams and rivers right from your Dashboard. The RiverLevels widget is of particular interest to whitewater kayakers and canoeists. Once any United States Geological Survey (USGS) stream-gauge station is selected, it is automatically refreshed to always provide you with the latest graph of the water-level. As of version 1.2 you can choose between two graph styles: discharge in cubic feet per second (CFS) and water-height in feet. This widget is Free software, licensed under the GNU General Public License (GPL) version 3 or later. Fix for image URL change in USGS site. New zip archive includes the ‘library’ directory missing in the 1.2 release. Fixed Leopard (10.5) compatability bug. Added the ability to choose Gauge Height (ft) in addition to discharge (CFS). My current woodworking project is a Mission-style bookshelf that I designed to match the sofa table that I built last year. The bookshelf will sit below a window to the kitchen, so it is low and extra wide to fit that space. To support the weight of the books without sagging, sets of stiles transfers weight from the middle shelf to the frame above and below. I am building the bookshelf out of cherry. Like the sofa table, all joinery is mortise and tenon. This time I am squaring out the mortises with a new set of mortising chisels rather than rounding off the tenons with a knife as I did on the sofa table — which is making the process go much faster. If you like the design and wish to build one for yourself, you can download my SketchUp model as a starting point. Over the course of the past year I built this cherry sofa table based on a design by Scott Gibson in Fine Woodworking’s "Furniture" book. All frame joinery is mortise and tenon, while the drawers use doweled rabbit joints. The finish is boiled linseed oil topped with 3 coats of Minwax wiping varnish. Building this table was quite a learning experience as just about every part required techniques that I hadn’t used before. Mortise and tenon joinery, biscuits to align the table top during glue-up, doweled joints fort the drawers, quartersawn veneers for the legs, breadboard-ends, and varnish; all of these were new to me and required a bit of trial and error to get right. This project certainly had its share of "oops" moments, but nothing that couldn’t be repaired or worked-around. I cut the bottom shelf stretcher one inch too short, but was able to cut it in half and splice in a section with a small mortise and tenon in the middle. Later, I made the hipped-tenons on which the breadboard-ends of the top sit too thin. This was repaired with the addition of some 5-minute epoxy to thicken the tenon. All that remains now is to choose and install drawer-pull hardware. For my Sarah’s birthday I built her a hanging jewelry case. This was my first fine-woodworking project built out of solid wood and it was quite a learning experience. The case is made of Red Birch with dots of Wenge (black), Satinwood (yellow), Chakte Coc (red), Sucaperē (brown), and Purple Heart (purple). It is finished with three coats of Watco Danish Oil after sanding to 600-grit. The outer dimensions are 23 inches tall, 19 inches wide, and 4 inches deep. I had originally hoped to construct the case over 2 months of weekends, but this time-line turned out to be a little optimistic and though I didn’t count the hours, it didn’t get completed until 4 months after I started. Work on the project went much faster after I got my own table saw at the end of February and could pop downstairs whenever I had a free moment. Until that point I did most of the work in my friend John Filan‘s shop in Weybridge (VT). John is a wood-artisan, master cabinet-maker, and was an amazing resource throughout this project: from showing me the ropes at Lathrop’s lumber mill, to machine setup, to notes on grain direction. Without his expert help (and workshop, and tools) this project would not have been nearly as successful. While I have so much more to learn, at least I now know where to begin and how to safely and successfully use all of the major machine-tools. I read (after the fact of course) that it is usually best to start with simple projects before cabinetry to avoid dealing with the close tolerances of all of the joinery and inset pieces. I’d have to agree. Though I consider this project to be a success I did spend many periods just staring at all of my pieces, dry-fitting them, and trying to convince myself that if I trim off 1/64 of an inch off one side that they would all fit together properly. As I mentioned, the case started as about 20 board-feet of rough lumber stacked on the upper rack of Lathrop’s mill. Once in John’s shop it was flattened on the jointer, planed to thickness and made square, straight and ready for use. I had sketched out most of the design prior to starting, but many things changed over the course of construction. For instance, I hadn’t planned for wood movement so the back panel had to become floating and interior header and footer pieces added to replace the strength I was planning on getting from the panel. Similarly, my initial plans to hang trays on the insides of the doors fell away as I contemplated the additional complexity of cramming them into an already-tight location. The ring-pillow I made from a piece of foam cut into a wedge-shape with rows then sliced into its surface. I wrapped it in dark red velvet and put stitches in the base of the slices, the ends, and elsewhere to keep it all tightly together. After a long winter that included some unseasonably late snows in April, spring is now in full swing. 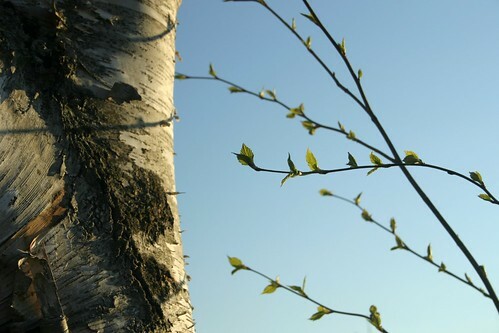 As flowers push up through the soil tree-buds are unwrapping their new leaves, the birches leading the way. In addition house repairs, wedding planning, work, life and everything else we are also planning to put in a garden this summer. We’ve started seed indoors already — about a 100 basil plants, some lufa sponges, morning glories, green peppers, and tomatos — and will need a place to plant them after the risk of frost is gone. 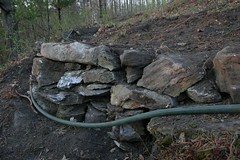 To that end I’ve started building a dry-stone retaining wall along the edge of the cliff below our house. 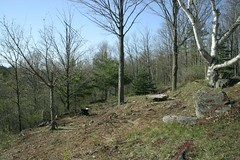 As the cliff-top is the only place not overshadowed by maples (and our reluctance to cut down our beautiful trees) the cliff-top is where the gardens will go. We don’t really have too much good soil elsewhere, so after the terrace walls are complete we will bring in large amounts of compost to grow in. With the rapid increase of computer power and the growing software power-requirements that go with them, it is often easy to find old Pentium 100, 133, and 166 (or similar generation) laptops for little if any cost. Machines of this generation generally ran MS Windows 95, which can’t cope with new hardware such as wireless PC cards and such, limiting their usefulness. While machines are woefully underpowered for running a new version of MS Windows, they will often run just fine with Linux. Sidenote: If you wish to use one of these old laptops as a “desktop computer” running Linux, then you would probably be best to use a light-weight window-manager such as ffwm or windowmaker instead of the KDE or Gnome window-managers that come as the defaults in most Linux distrobutions. Using a less resourse-intensive window manager can make these old computers quite usable, even “snappy”. The laptop I am using for this Linux picture frame project is an old Dell Inspiron 3000 with a Pentium chip that I got for free since the battery had died and the keyboard didn’t work. It turns out that the keyboard works fine in Linux, just not in the MS Windows 95 that had been installed on the machine. Even if you can’t find one of these for free, they can usually be had for VERY cheap. To save even more cost, look for ones with broken keyboards/dead batteries, broken touchpad, etc. Just plug in a PS/2 keyboard and mouse for the install, then access the machine through the network (ssh) after that. The one addition I made to my laptop is a Xircom “Cardbus Ethernet 10/100 + Modem 56” PCMCIA ethernet card. All you generally need is an ethernet card that will work with Linux, for the purposes of the picture frame, speed isn’t much of an issue. Its a lot easier to install Linux on a computer with a keyboard and mouse than on a stripped down motherboard/screen packed into a picture frame. You might as well set up Linux and make sure that all of your hardware and software is working well together before modding the hardware. This helps isolate problems. I chose to put Xandros Desktop on my laptop for this project. I had initially tried a Knoppix hard-drive install of “straight” Debian, but had some problems with the network card or something. I don’t quite remember what the problem was, but I tried Xandros as well as replaced my network card with the above mentioned Xircom one. Xandros happend to be the distro that was on the machine when I got networking up, so I didn’t bother to change it. The nice thing about Xandros is the good hardware detection, this can make for more painless OS installs if nothing else. The big caveat however is that my Xandros installation take up about 1G, half of my laptop’s little 2GB hard drive. A stripped down Debian install would leave more room with less manual cleanup. You can use any Linux distribution to build your digital pictureframe, but the placement of a few of the initialization scripts may be different on a distribution such as Fedora or SUSE which are not based on Debian (as are Knoppix and Xandros Desktop). I wrote a few little-tiny bash scripts to call the slideshow and initiallize it. Their paths and contents are listed below in the like-named section. Assuming that you have successfully installed and are running Linux on the laptop, install the “feh” program from LinuxBrit.co.uk. Also install the “unclutter” program to hide the mouse cursor after several seconds of inactivity. Be sure to change “afranco/Photos/” to your actual image location. If you now call “slideshow.sh” from a console in an X-session, feh should run. Running slideshow.sh from the command-line without an X-session. 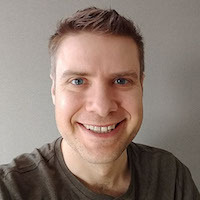 I wanted to be able to start the slideshow on boot, and to be able to restart/stop it with the cron schedualer or manually from a remote terminal. Even though I could set the KDE environment to automatically log in and start feh from within the X-session, that wouldn’t allow for easy enough control. # make sure none of our parts are running and are in the way. In Xandros (and other distros that use a graphical login screen like “kdm”) it is important to free up the X-window so that you can put the slideshow there. This is accomplished by killing kdm and X. To prevent the graphical login screen from apearing at all on boot, remove all links that contain “kdm” from /etc/rc2.d/ and /etc/rc3.d/. To start the slideshow on boot, I first made an init script in /etc/init.d/ to control the starting and stopping of the slideshow. Looking back, I could have put the scripts listed above right in this init script, but that wasn’t how I approached it, so I will leave it. Feel free to put the commands from the above scripts right into the init script instead. You can reorder the call sequence in the /etc/rcX.d/ directories, by renaming the links (they are executed in alpha-numeric order). The slideshow should now start on boot. The first line stops the slideshow at 2am every night. The second one starts it every weekday at 5pm. The third line starts the slideshow every sunday and saturday at 9am. Blanking the screen when the slideshow is stopped. It seems that a user has to be logged into a local tty terminal on the machine and have “setterm -blank 1” run in order for the screen to be turned off when the slideshow is stopped. You could manually log in to a tty. Another way to do this is follow the directions on this site for automatically loging into a tty and running the setterm command. Alternatively, it may work to modifiy the terminial creation piece in /etc/inittab to just run the setterm command before showing the login prompt. Followed these directions for installing qlogin and the two libraries it needs. Download qlogin into a convenient directory such as /usr/local/src/. Download and install the User::Utmp perl package with the same commands as above. Add “setterm -blank 1” to the rc.local file. My rule of thumb for the hardware side of this project was to do as little modification as necessary to achieve the desired form and function. My main reason for this is that I wished to retain as much of the basic functioning of a normal laptop as possible to facilitate future modifications and upgrades to my picture-frame system. By retaining the general laptop form-factor, keyboard, CDROM, etc, reinstalling the operating system, other devices, etc is much easier. As seen in the picture at right, I started this project in “laptop form”, getting the software working first for exactly this reason. Once I had gotten the software worked out as described in the sections above, it was time to modify the hardware of the laptop to get it into “picture frame” form-factor. I was initially hoping to be able to simply unscrew the hinges and remount the display backwards so that it closed with the back of the screen on top of the keyboard, a la “tablet PC”. This configuration would be strong — since the screen would still be screwed to the body of the laptop, just backwards — as well as simple and extensible — since it could easily be returned to “laptop” form-factor. Unfortunately, the orange data-cable/strip (shown in the picture above/left) was not flexible enough to twist around to an inverted configuration. Since that wasn’t going to work, I decided just to pull the data-cable/strip out as far as it would go and epoxy the back of the screen to the “bottom” of the laptop with wood spacers to allow for airflow. In addition to the gluing, I had to solder a 3-inch extension into the display power-cable-bundle so that it could reach around the back of the laptop. The only remaining job is to obtain a frame and hang the display on the wall. In the mean-time I am just standing the machine on a shelf with a piece of matting leaning against it. The power and network cables that sneak back through the books on the shelf allow me to ssh into the display and update/change the pictures in the slideshow.